Have to flap their wings very fast to fly, as their wings are short. Live on the open sea and only go to land to breed. Are fantastic swimmers and divers. Can fly underwater to catch their prey. Eat fish, but some species eat plankton only. Some species nest on cliff edges, while others nest on rocky coasts and in burrows. 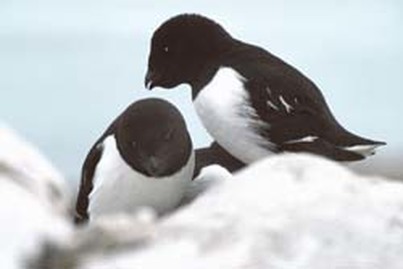 Both males and females participate in the incubation of the eggs.